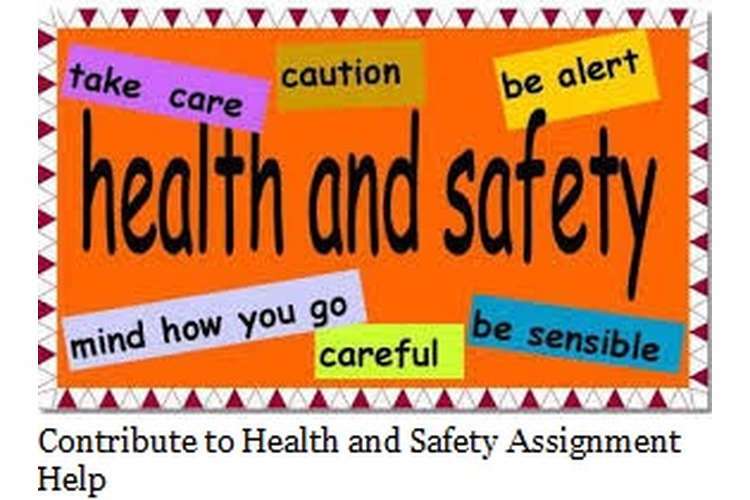 This Contribute to Health and Safety Assignment discuss chemical, hazardous, equipments and personal protective equipment. Economical in terms of money and time in the long run. increases the life of the equipments. A responsible person should react quickly and give first aid to the patient; it will help in reducing the risk. Nurse should inform the doctor or expert required in the situation. While waiting for the doctor, the nurse can make the patient relax and calm by calling his or her family member (if possible). The facilities, equipments and resources which can be required for the procedure or treatment can be arranged. (Hsu, E. B., Jenckes, M. W., Catlett,2004). After identifying the WHS concerns in the workplace, the worker should initially raise it to the immediate supervisor or manager. The manager will try to resolve by WHS concern by making and implementing a plan/process. If the concern still remains unsolved then the worker can reach the HRS department (if available) but if they can’t resolve the issue then finally the worker can approach the UWS WHS unit.WHS concern is not limited to only one person or worker, it can affect a lot of workers therefore WHS concern should be resolved quickly and effectively. Physical Hazard: Electricity is an example of a physical hazard as it can easily harm us if not used carefully. Almost all the equipments are electrical and any type of negligence can harm us. Chemical Hazard: Disinfectants can result in a chemical hazard as they are very harmful if not handled with care. Disinfectants are commonly available and are used to destroy the micro-organisms on different objects. Mechanical Hazard: Use of scissors can result in mechanical hazard as it has sharp edge and is available in different shapes and sizes .It is the simplest equipment present in a clinic or hospital but if it is not used properly it can be dangerous. Environmental Hazard: Unhygienic environment is an example of environmental reporting. Poor sanitation can result in various types of diseases like typhoid, cholera, etc. By orally telling the supervisor and let s/he performs the rest of the formalities or the person can give a call at RIDDOR’s call centre number. By filling a simple and short form, which is available in the workplace, the form generally includes the date, time, personal details of the patient and place. Maintaining the records of goods and services used in the workplace. Now a day’s maximum patients are insured, for dealing with them the medical billing clerk must know basic details of insurance companies. S/he must have good communication skills. Accurate, quick and updated records of the patients are also maintained by the medical billing clerk and are produced when required. Regular meetings are held to share and update the people about current problems and safety measures required for solving that problem. The training to identify a hazard and risk is also given in the meetings. The reported issues are also discussed and resolved. Recording and reporting an issue is the responsibility of all the people present in the particular area. A reported issue will help the concerned authorities to investigate and find out the actual reason behind the incident. They can give advice for finding out the permanent solution of a problem. There are many types of equipment present in a workplace which can harm us but we can eradicate the risk if we safely use them. One common workplace hazard can be uncovered wiring. Any worker can accidently touch the wire and get injured .The best way to remove this physical hazard is to get a proper and safe wiring done. It will make the workplace safe and the risk will be completely removed. Hazard and risk are generally used as synonyms but both are different from each other. Anything which can be harmful is a hazard and risk is the chance of getting harmed by a hazard. Hazard means finding out anything that can be dangerous and risk is the result of that thing after it becomes dangerous. For example if machinery is making load noise, it is a hazard but any worker can lose his/her hearing power because of that noise is a risk. The fallen paint must be carefully cleaned by wearing disposable gloves to avoid the chemical hazard. The wire of the running fan must be short or moved towards the wall to avoid the risk of falling down. The fallen paint must be cleaned quickly otherwise any one can slip because of its presence. Both of them should lift the heavy bucket for avoiding this risk. The position of fans must be changed..
Equipment-Anaesthesia Machine and it must be reported to the Anaesthetists. 1. The oxygen failure warning device is checked because if there is no oxygen pressure than other gases cannot flow. 2. Physiological monitors have alarms on it which are also checked. 4. Pin intex Safety System is checked which prevents the wrong connection of cylinders. 3. Chemical hazard is very common in the workplace. Disinfectants are used for cleaning products or equipments. Words like “danger, caution” can be used as safety signs to avoid the risk. The cleaner must wear disposable gloves while using them. Disinfectants must be kept in safe place and if incident happens, it must be reported to the immediate supervisor. Proper training to use disinfectants must be given in WHS consultation to resolve the issues related to chemical hazards. If the disinfectants are not used carefully then can harm anyone in the workplace. Lake, A. P. J., Bugelli, G., & Jones, P. A. (2004). Checking anaesthetic equipment. European journal of anaesthesiology, 21(12), 988-988. Dyson, E., & Smith, G. B. (2002). Common faults in resuscitation equipment—guidelines for checking equipment and drugs used in adult cardiopulmonary resuscitation. Resuscitation, 55(2), 137-149. Hsu, E. B., Jenckes, M. W., Catlett, C. L., Robinson, K. A., Feuerstein, C., Cosgrove, S. E., ... & Bass, E. B. (2004). Effectiveness of hospital staff mass-casualty incident training methods: a systematic literature review. Prehospital and Disaster Medicine, 19(03), 191-199. Regulations, I. R. (2003). Management of Health and Safety at Work Regulations (amended 1999). Veterinary Nursing, 143. Brauer, R. L. Personal Protective Equipment. Safety and Health for Engineers, Second Edition, 513-536. Cherrie, J. W., Howie, R. M., & Semple, S. Personal Protective Equipment. Monitoring for Health Hazards at Work, Fourth Edition, 260-271. Laughery, K. R. (2006). Safety communications: warnings. Applied ergonomics, 37(4), 467-478.